Road trip!!! 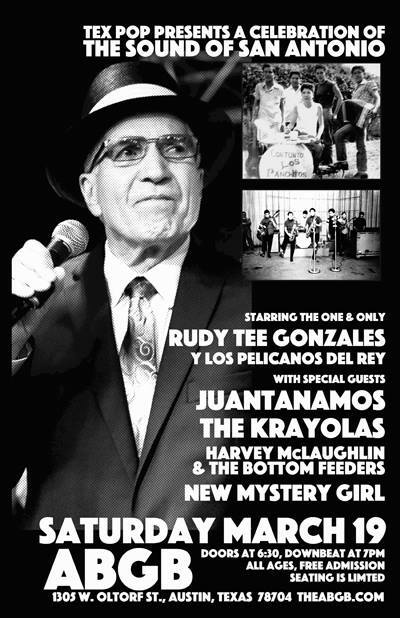 Catch The Juantanamos live as we help TexPop bring the Sound of San Antonio to Austin on Saturday March 19th at ABGB along with SA favorites Rudy Tee Gonzales Y Los Pelicanos del Rey, The Krayolas, and more! ALL AGES. FREE ADMISSION.